Jharkhand Staff Selection Commission has invited applications for 518 Excise Constable posts. Candidates who are waiting for JSSC Recruitment 2019, This is great news for them. Interested and eligible participants can apply through online mode. Application forms are starting from 26.12.2018 for Jharkhand SSC Excise Constable Jobs 2019. Applicants must submit their completely filled form before or on 09.02.2019. For further more information regarding eligibility criteria & selection process, aspirants must read the full article given below carefully. 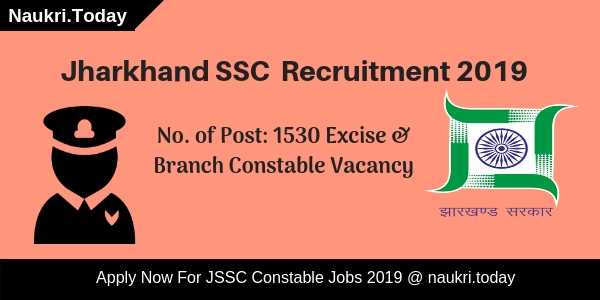 Fresh Update as on 18.02.2019: Participants who are interested in Branch Constable Post must fill online application forms for JSSC Recruitment 2019. Applicants should not delay any more because today is the last date to submit online form for JSSC Branch Constable vacancy 2019. Before applying candidate should check selection process & eligibility criteria here. Fresh Update as on 02.02.2019: Hello Friends, Do you want to apply for JSSC Recruitment 2019? If yes, then you can fill application forms for Jharkhand SSC Constable Jobs. Interested candidates must apply online before last date. Participants can also check eligibility criteria & selection process from here. Fresh Update as on 25.01.2019: Dear Applicants, are you looking for Branch & Excise Constable Jobs. If yes then you can fill registration forms for JSSC Recruitment. For more details regarding jobs you must read article. Candidate should fill application form before last date. Curious candidates can also download JSSC Notification from direct link given below. Fresh Update as on 04.01.2019: Particpants who are looking for Branch & Excise Constable jobs can fill online application form for JSSC Recruitment. Before apply online applicants must check eligibility criteria & selection process of Jharkhand SSC Vacancy. Latest Update as on 31.12.2018: Hello Friends, are you searching for Branch & Excise Constable Jobs. If yes then you can fill application forms for JSSC Recruitment. For more details regarding jobs you must read article. Candidate should fill application form before last date. Fresh Update as on 28.12.2018: Candidates who are searching for Excise & Special Branch Constable post must apply online for JSSC Recruitment. Before filling application form participants must check eligibility criteria, selection process here. Last date for submission of registration form is 09.02.2019. What Are The Important Date for JSSC Driver Vacancy 2018? Candidates who wish to apply for JSSC Recruitment 2019 must fulfill some eligibility criteria. Here some eligibility parameters are set by the department which are given below. To get information related to Jharkhand SSC Vacancy eligibility process applicants must read below section. Those applicants who are going to fill online application forms should have passed 10th class from any recognized board. For more details regarding qualification candidate must check JSSC Notification from the link given below. Aspirant can also download Jharkhand SSC Excise Constable Jobs 2019 notification from here link given at the end of the article. Aspirants must have minimum age as 18 years for JSSC Recruitment 2019. Here upper age relaxation may also applicable as per government rules and regulations. Age criteria is given in below table for Jharkhand SSC Vacancy 2019. Department will organize written examination for the candidates who have applied online for JSSC Recruitment 2019. Applicants who will get qualify in written exam will be called for medical test and physical test. Here some physical standards are fixed by the department, aspirant must fulfill the conditions of physical standards. Participants will get selected on the basis of written exam & medical test. For More details relevant to selection process, applicants must check JSSC Notification 2019 from the link mention at the end of the article. Applicants who are going to fill online registration form have to pay application fee for Jharkhand SSC Excise Constable Vacancy 2019. Participants belonging to General / OBC need to pay Rs.800/- as registration fee. Contenders who belongs to Reserved Category or SC/ ST/ Ex- Servicemen have to pay Rs.200/- as application fee for JSSC Recruitment 2019. For more information aspirants must read Jharkhand SSC Jobs 2019 notification from the link given below. Department will pay good salary to the participants who are selected for Jharkhand SSC Excise Constable Recruitment 2019. Applicants will get Rs.5200/- to Rs.20200/- as their stipend. Aspirant will also get Grade Pay of Rs.1900/-. To get rest of the details regarding pay scale candidate can read JSSC Excise Constable Vacancy 2019 Notification either from official website or from here link given below. Participants who are filling application forms must apply online before last date i.e. 09.02.2019. Here we are giving some instructions to follow while filling registration form for Jharkhand SSC Excise Constable Jobs 2019. Firstly, candidate should logon to official website i.e. jssc.nic.in. Then go to homepage & search for JSSC Notification 2019. After that eligible participants should click on “Apply Online” link. Fill all the details in JSSC online application form. Then upload scanned image & signature in registration form. Recheck all information given by you. Then make payment of application fee for JSSC Recruitment 2019. Afterwards click on “Submit” button. Applicants can also take print out of form for future reference. Conclusion: Jharkhand Staff Selection Commission has issued notification for 518 Excise Constable posts. Candidates must fill application forms for JSSC Recruitment 2019 through online mode. Last date to apply online for Jharkhand SSC Excise Constable Vacancy 2019 is 09.02.2019. Participants can also download JSSC Notification from the link given above in link section. Are searching constable jobs in Jharkhand? If yes then here good news foe you. Jharkhand Staff Selection Commission has invited application forms for JSSC Recruitment 2019. Total 1012 seats are available for Special Branch Constable post. Interested and eligible candidates can apply through online mode.Starting date to fill application forms for JSSC Constable Jobs 2019 is 26.12.2018. Closing date for submission of complete online registration form is 18.02.2019. For more information regarding eligibility process, selection criteria & age limit, applicants must read given article very carefully. Applicants who wish to apply for JSSC Recruitment 2019 must fulfill some eligibilities. Some eligibility parameters are mention by the department which are given in below section. Aspirants must read eligibility criteria before filling online application form for JSSC Constable Jobs 2019. Contenders who are going to fill application forms for Jharkhand SSC Vacancy 2019 can check required qualification here. Those participants who wish to fill registration form must have passed 12th class from any recognized board. For more details candidate must read JSSC Notification 2019 from the direct link given below. Here some physical standards are given by the department. Applicant must fulfill these standards to get eligible for Jharkhand SSC Jobs 2019. Applicants should know required age for JSSC Recruitment 2019. Candidate must have minimum age as 19 years as on 01.08.2018. Similarly, aspirant should not have age more than 25 years for JSSC Constable Jobs 2019. Here upper age relaxation scheme is also applicable by department as per government rules and regulations. Department will conduct written examination for the candidates who have filled online application forms for JSSC Recruitment 2019. Participants will have their written test for JSSC Constable Jobs 2019. Applicants who qualify in written test will get called for physical test / Medical test by the department. Participants will be selected on the basis of marks obtained in every phase. Final merit list will created after analyzing performance in every test. To get rest of details regarding selection process aspirant must visit to JSSC Notification 2019 from the link given below at the end of the article. Applicants who are going to fill application form for JSSC Recruitment 2019 have to pay application fee. Participants belongs to General / OBC Category need to pay Rs.800/- as registration fee. Candidates belonging to reserved category/SC/ST/Ex-Serviceman have to pay Rs.200/- as examination fee for Jharkhand SSC Constable Jobs 2019. Payment of registration fee should be done through Debit Card, Credit Card or Net Banking. For further information aspirant may see the official notification from the link given below. Department will provide great salary package to the candidates who have selected for Jharkhand SSC Recruitment 2019. Applicants will get salary of Rs.5200/- to Rs.20200/- with grade pay of Rs.2000/-. For more details regarding salary or pay scale contenders must go through JSSC Notification 2019. Candidates who wish to fill online application forms must apply before or on 18.02.2019. Here we are providing you some easy steps to follow while filling application forms for JSSC Constable Jobs 2019. Firstly, aspirant must logon to official website i.e. jssc.nic.in. Then go to homepage and search for JSSC Notification 2019. Participants must read information given in notification carefully. Eligible candidate must click on “Apply Online” link. Fill required details in registration forms. Then upload your recent passport size photo & scanned signature to online form. Recheck all the information filled by you in JSSC Recruitment 2019 form. Afterwards make online payment of application fee. Applicants can also take print out of registration form for future use. 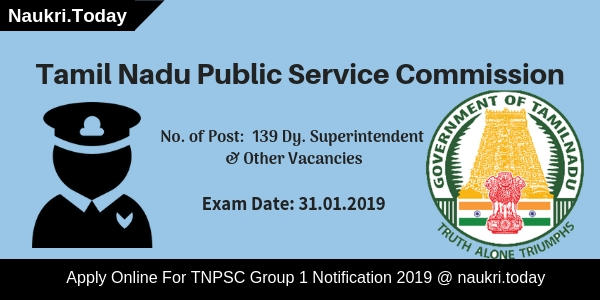 Conclusion: JSSC Recruitment 2019 has released notification for 1012 Special Branch Constable post. Candidates who are interested and eligible can fill online application form before last date i.e. 18.02.2019. Examination date for JSSC Constable Vacancy 2019 will announced soon by the department on its official website. JSSC Recruitment 2018 – Jharkhand Staff Selection Commission has announced Vacancies for filling up 84 Vehicle Driver Post. Applicants who are good in driving may apply online for JSSC Vacancy 2018 from 15 October 2018. Participants should check here qualification, age, and application fee. Candidates should fill up their application form before last date 23 November 2018. Aspirants should read below article carefully for more details regarding JSSC Driver Jobs 2018. The Department will select Candidates on the Basis of Three stages such as a written exam, Medical Test, & Driving Test. Aspirants should fill up their application form correctly otherwise, their form will be rejected. Candidates should collect here education, age, and application fee details for JSSC Recruitment 2018. Here we gave you links to download JSSC Notification 2018. Eligible Applicants may apply online for Driver Post from 15 October 2018. Candidates must be 10th pass are eligible for JSSC Driver Recruitment 2018. Participants must have HMV Vehicle Driver Legal License from HMV and LMV Vehicle Legal License from LMV. Candidates should check Official JSSC Driver Notification 2018 from more details. Participants should be 18 years and not more than 35 years old are eligible for JSSC Recruitment 2018. Upper age relaxation is applicable as per government rule for JSSC Driver Jobs 2018. Here we gave you details of upper age relaxation for Driver Post. Applicants who belong to General Category should pay Rs. 800 as an application fee for JSSC Vacancy 2018. SC/ST /Ex-Servicemen need to pay Rs. 200 for Examination Fee. Candidates can pay their application fee through Credit Card, Debit Card, & Internet Banking. For more details, candidates should download JSSC Driver Notification 2018. Selection of Candidates will take place on the basis of Written Examination, Medical Test, and Driving Test. Candidates who qualify in written examination will appear for Medical Test. After Clearing Both the test candidates will call for Driving Test. Final selection of Candidates will be held on the basis of Candidates performance in Written exam and Driving Test. The Department will pay Rs. 5200 – Rs. 20,200 with Grade pay of Rs. 1900 to the selected candidates. Participants should download Official JSSC Notification 2018 for more information. Here we gave you simple and easy steps to apply for JSSC Recruitment 2018. Candidates who are interested in a government job may apply for JSSC Driver Vacancy 2018. Applicants should fill up their application form before the last date. Here we gave you these steps to may help you to download JSSC Notification 2018. Participants should open the official website of JSSC i.e jssc.in. Candidates may search for JSSC Recruitment Section at Homepage. After that aspirants should read the whole notification carefully. After that applicants may insert passport size photo and signature in form. Candidates must keep one copy of application form for feature use. Conclusion: Jharkhand Staff Selection Commission has issued notification for 84 Vehicle Driver Post. Interest Candidates may check here complete details regarding JSSC Recruitment 2018. Here we gave links to apply for JSSC Driver Jobs 2018. Are you seeking for JSSC Recruitment 2018? Here is a good news for you. Jharkhand Staff Selection Commission has published notification for Pharmacist, ANM, and Other Vacancies. There is 113 Vacancies are available for JSSC Vacancy 2018. Candidates should check here eligibility criteria, age, and selection process for Jharkhand SSC Jobs 2018. Participants may apply online from 01.08.2018 for JSSC Pharmacist Recruitment 2018. Last Date for Online registration for Jharkhand SSC Pharmacist Vacancy is 30.08.2018. For more information regarding pay scale, application fee aspirants should check below section. Participants should collect here vacancies details for JSSC Jobs 2018. Applicants may check here Post wise classification of Vacancies. Candidates may download Jharkhand SSC Notification 2018 from links given here. Applicants must fill up their application form carefully otherwise their form will be rejected. Participants must collect information about eligibility criteria, age, and application fee for JSSC Pharmacist Bharti 2018. Aspirants should download Jharkhand PSC Notification 2018 either from here or from links given below. Applicants who are going to take part in JSSC Vacancy must have 10+2 Degree with a minimum of 45 %. Participants may also have 18 months of ANM Course Degree. The Department will announce vacancies of ANM for both male and Female participants. It is compulsory to apply candidates that they complete their 10+2 degree with science subject only. Participants who have done their 10+2 Degree with any other field may not eligible for JSSC Recruitment 2018. For more details, candidates should check Jharkhand SSC Notification 2018 from links given here. The Department will set 20 years as the minimum age of aspirants. Participants should check here JSSC Vacancy 2018 maximum age from the table given below. Here we gave you a table which shows you category wise age relaxation for candidates. Participants may also download official JSSC Notification 2018 either from the official website or from links given below. Participants who belong to general & OBC category should pay Rs. 1000 for an application fee. SC/ST category applicants of Jharkhand will need to pay Rs. 250 /- as an application fee. Candidates can make their payments through Credit Card, Debit Card and Internet Banking for JSSC Recruitment 2018. Participants may also pay their application fee by e-Challan. Candidates must apply before the last date from links given below. The Department is organizing written examination for selecting candidates. Participants who fill up application form for Paridhapak post may need to take part in Preliminary examination only. But Aspirants who applied for ANM Posts should face two examinations Preliminary and Mains. Level of Preliminary examination question paper is of 10 class. For Mains, examination candidates should prepare more as compare to Pre-examination. More details aspirants should read JSSC Notification carefully. Applicants should check here qualification, age, and selection process before applying for JSSC Recruitment 2018. Participants must enter the correct information in an application form. after fill up application form aspirants must submit their application fee. Candidates can apply only through online mode. Aspirants can pay their application fee by internet banking, Credit Card, and Debit Card. Check here easy and simple steps to download JSSC Notification 2018. Applicants look for JSSC Recruitment Section at home page. After that Candidates should read complete Jharkhand SSC Notification 2018 carefully. Eligible applicants may fill up their application form. After filling up application form candidates should pay the application fee. Now Candidates may also keep a hard copy with them for feature use. Conclusion: Jharkhand Staff Selection Commission has issued notification for fill up 113 Pharmacist, ANM, and Other Post. Interested candidates must check required qualification, age, and application fee details. Aspirants may fill up an application form from 01.08.2018 to 30.08.2018. 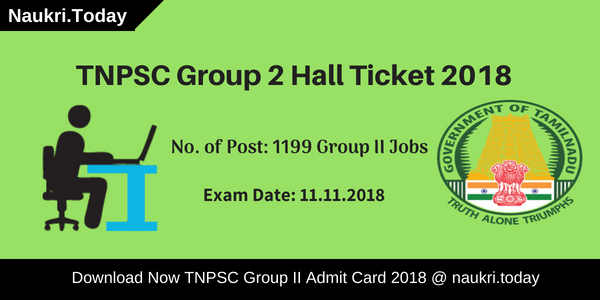 Here we gave you complete information about JSSC Recruitment 2018.